A bible Whitney Houston left behind when she moved out of her Newport Beach rental home is now being sold by her former landlord. It can be yours for a smooth $95,000. 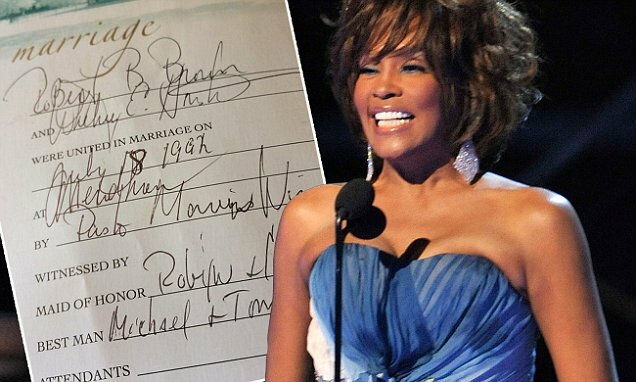 Whitney scribbled in her name and Robert B. Brown and the date July 18, 1992, which matches up. Under births, it lists Bobbi K. Kristina and her birthday March 4, 1993. Make dem allow this woman rest. $95k because her Bible is gold?